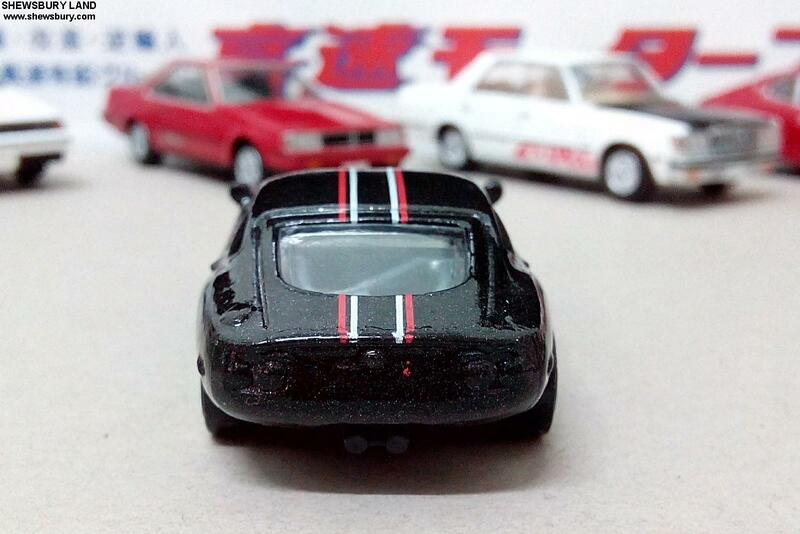 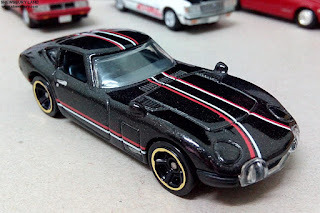 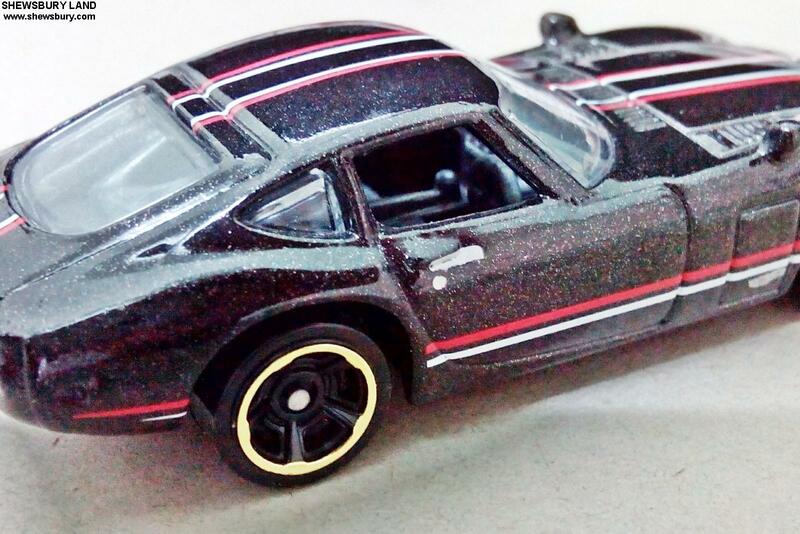 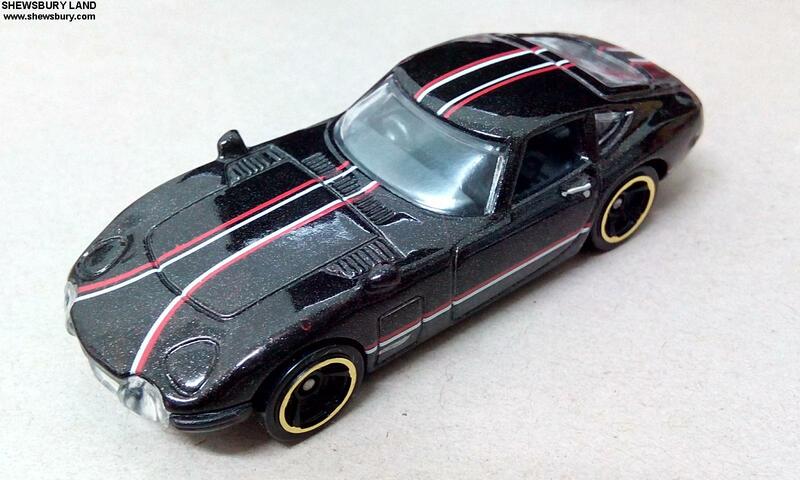 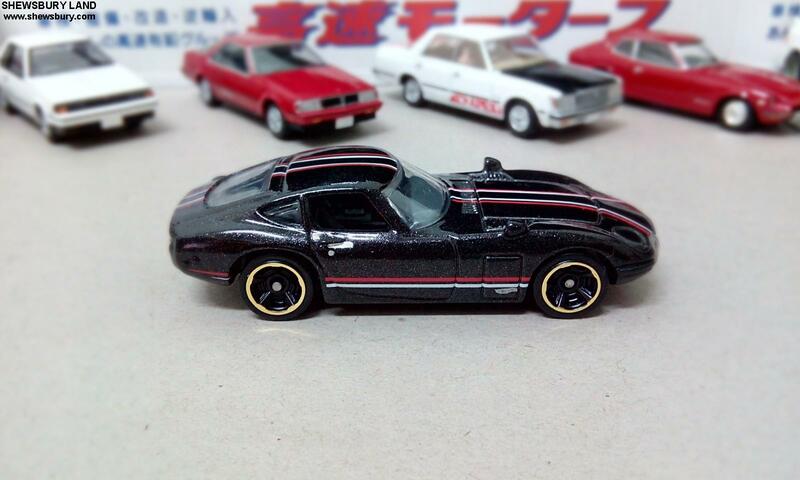 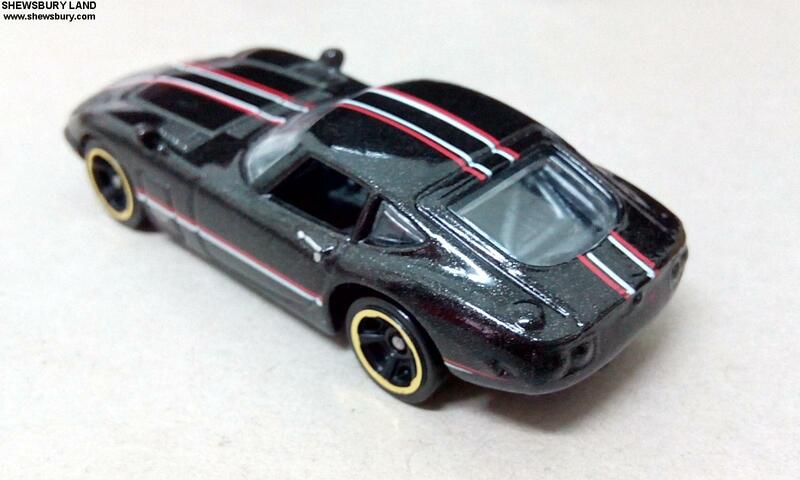 This is Toyota 2000GT, about 3 years ago I had similar model from Tomica/Takara Tomy, some sort of a limited edition thingy for the Dragon Year 2012 and what we have here today is exactly the same car produced by Hot Wheels. 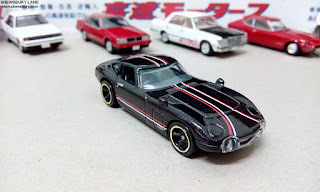 Toyota 2000GT is a rare iconic Japanese sports car produced by Toyota and probably even till today it is still one of the best sports car ever produced by Toyota. 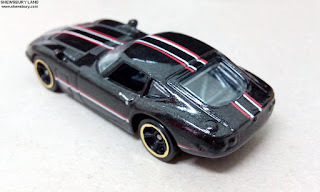 Not many living human being are able to drive this car and most of them including me can only praising the car and "owned" the toy version of it. 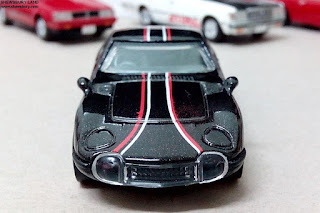 Believed to be the resemblance of the then classic Jaguar E Type, not many would argue about it perhaps but even so many agrees that this is one cool car from Toyota, so good that they used it in one of those James Bond's movie around that particular period. 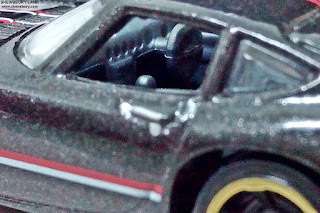 As for the interior detailing, thankfully though Hot Wheels maintained the Japanese origin of this car, we got the right hand steering wheel - typical British/Japanese style. This is the typical 1/64 scale model (or there about) so we can't really have a perfect interior detailing so what we get is as good as it get at the usual normal retail price of Hot Wheels.